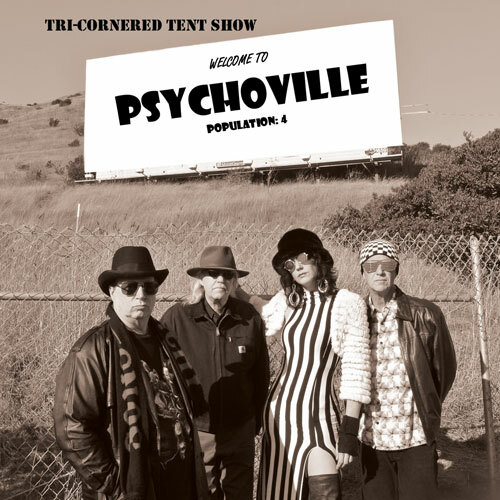 Welcome to Psychoville Population 4 from Tri-Cornered Tent Show is an Avant-Psych Blues Freak-Out presented in the form of Daliesque Cabaret involving Appalachian Style Murder Ballads filtered thru and reflecting on the many levels and degrees of Musical Improvisation in the 20th Century. This release features newest member Valentina O, an eclectic and multifaceted vocalist who has not only appeared throughout the United States as an opera singer, actor and performer for companies such as San Francisco Opera and New York City Opera, but whose voice has also been heard in numerous soundtracks for television, film and commercials.
" 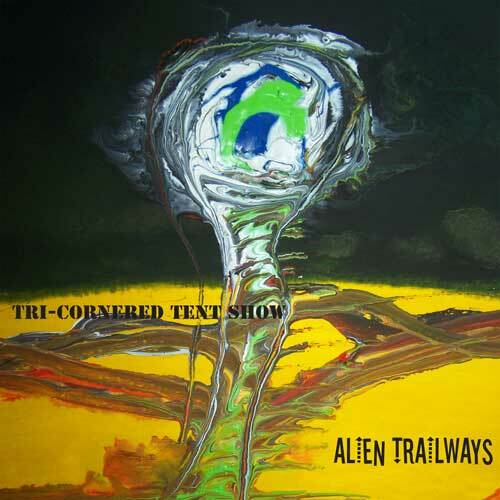 The 8 tracks on this album are a carnival of madness, a freak show phantasmagoria, a circus of controlled chaos, an electro-acoustic alien funhouse...There are places where it's almost accessible, just slightly left of normal, but eventually will always veer off into strangeland. The ensemble works well together to achieve their off-kilter vision with nice interplay between all participants. Still, you have to be prepared for their bizarro intensity." - Steve Mecca, Chain D.L.K.